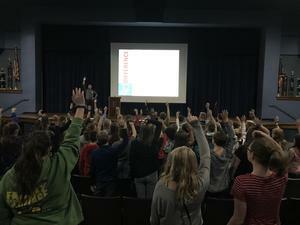 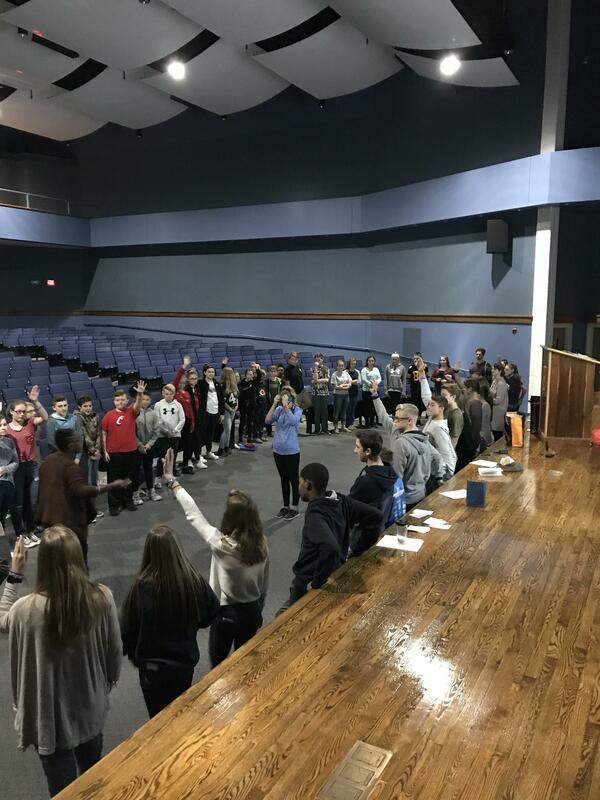 As part of this week's Red Ribbon Week activities, the Cincinnati KNOW Theatre met with over 60 students from the 6th, 7th, and 8th grades. 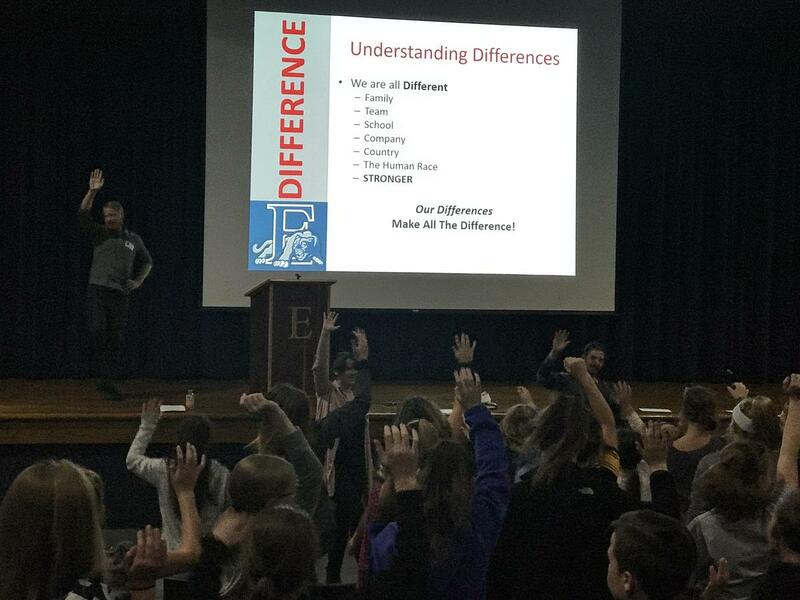 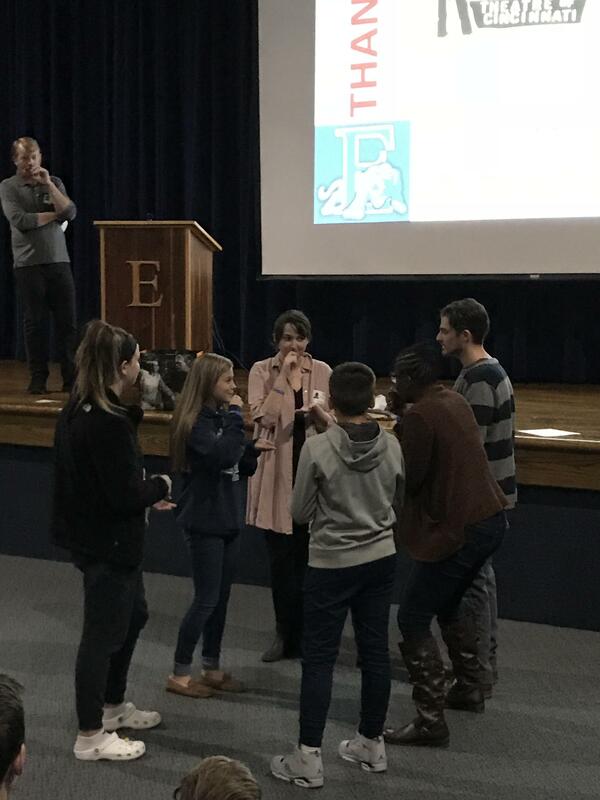 Students participating in this leadership training included student council, PBIS captains, and student ambassadors. 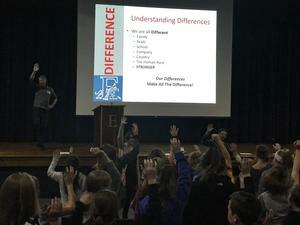 The focus of the event was leading with courage and how to stop bullying. 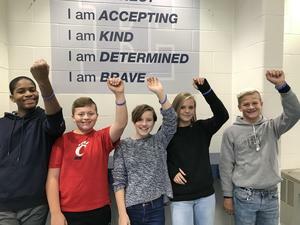 Students identified how to effectively handle bullying situations and learned about skills they can use to help others who are bullied. 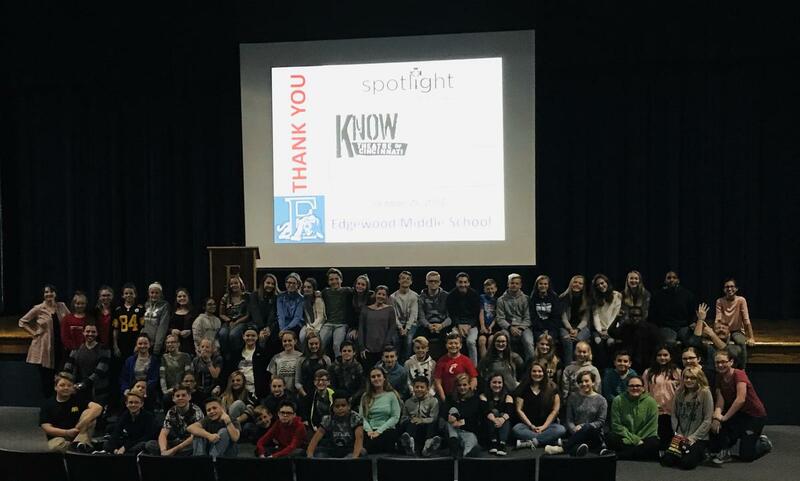 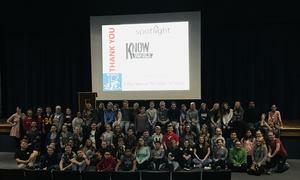 These students were then able to share this information with the entire 7th Grade in an assembly later in the day. 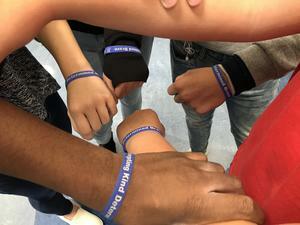 Special thanks to the KNOW Theatre for this great advice and for providing Character Traits wristbands to everyone!